The University's annual David Parkin lecture will be delivered by Professor Vicente Moliner from the Department of Chemistry. Vicente will talk about his research in the field of computational chemistry. Visiting Professor, Vicente Moliner will give an overview of his work in the field of computational chemistry. He will look at the studies carried out in his laboratory and in collaboration with other research groups. Computational Chemistry techniques have developed quickly during past years. 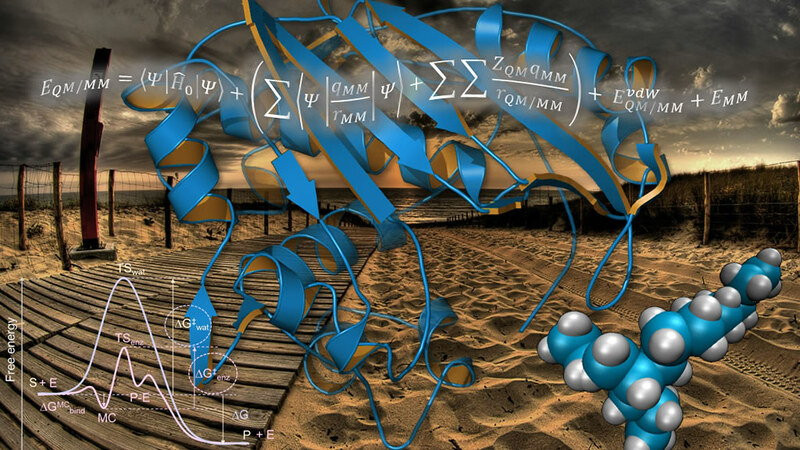 Models based on the combination of Quantum Chemistry and classical Quantum Mechanics have been extensively applied to the study of enzyme catalysis, allowing knowledge of the reaction mechanisms of these complex but highly efficient bio-catalysts at the molecular level. Merging these techniques with experimental methods has opened the door to the design of more potent and specific drugs, and to the generation of new environmental friendly catalysts to be applied in the pharmaceutical, food, and chemical industries. David Parkin Visiting Professorships are awarded on an annual basis to help to support an outstanding academic with a permanent position at a non-UK university to spend a period of time up to 12 months, as a Visiting Professor at the University. As part of the award, the Visiting Professor is invited to present the University’s annual David Parkin Lecture. Vicente has worked as Professor in Physical Chemistry since 2009. He completed his undergraduate degree in Chemistry at the University of Valencia in 1988 and went on to receive his PhD from the Universitat Jaume I in 1993. The following year he was appointed as Assistant Professor of Faculty at the same university and later went on to work at institutions in Grenoble, Brazil and Paris. He first joined the University of Bath as a Post Doctoral Researcher with Professor Ian Williams from 1996 to 1997. Since then, he has worked as Associate Professor at University Jaume I from 1998 to 2009 and Visiting Professor at Lodz University of Technology from 2009 to 2010, before returning to Bath as the David Parkin Visiting Professor earlier this year.